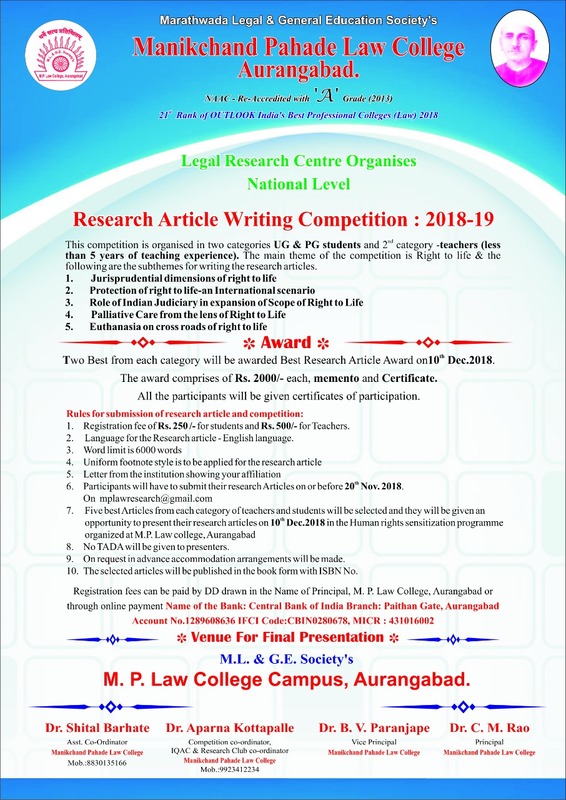 Manikchand Pahade Law College, Aurangabad was established in 1956 by Marathwada Legal and General Education Society founded by eminent lawyers and savants of law with the avowed object of spreading legal education in Marathwada region. This college existed in 8.29 Acres of land in the heart of the city with qualified Teachers and the students affiliated to Dr. Babasaheb Ambedkar Marathwada University, Aurangabad and recognized by Govt. 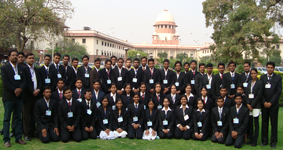 Maharashtra, Bar Council of India, UGC under 2(f) & 12(b). The library consists of reference, text, e-books, law reports and journals both national & international. It has Computer lab, Auditorium, Multipurpose sports hall and separate hostel facility for boys and girls. National Moot Competition, National Power Point Presentation Competition, Law Lecture series, Legal aid, Seminars, Research Club, Debate, Samvidhan rally and NSS activities are organized for the overall development of the students. This college is known for teaching beyond books. This college ranked among the top 100 law colleges in the India by the Lawyers Update in Dec. 2010 (Among Top 8 in Maharashtra). The College has an impressive alumni record of holding positions at Supreme Court, High Court Judges, Members of Legislative bodies, academics and others.